Heman Allen was born in Poultney, Vermont to Heber Allen and Sarah Owen. He attended the common schools. He graduated from Dartmouth College in 1795, studied law and was admitted to the bar in 1801. He began the practice of law in Colchester, Vermont. He was town clerk of Colchester from 1807 until 1817. He served as Sheriff of Chittenden County from 1808 until 1810, and Chief Justice of the Chittenden County court from 1811 until 1814. He was treasurer of the University of Vermont in 1815. Heman Allen served as a member of the Vermont House of Representatives from 1812 until 1817. While in the State House he received the appointment of quartermaster of militia, with the rank of Brigadier general. He was elected as a Democratic-Republican candidate to the Fifteenth Congress, serving from March 4, 1817 until his resignation on April 20, 1818. Allen resigned from Congress to become a United States Marshal. He was appointed United States Marshall for the district of Vermont on December 14, 1818; he was reappointed on December 24, 1822. Allen was the agent for paying pensioners in 1819. Heman Allen was appointed by President James Monroe as America’s first United States Minister Plenipotentiary to the new republic of Chile beginning on January 27, 1823. When he called on Commissioner Isaac Hull, whose wife was at her family home saying goodbye before the Hulls sailed to Lima, Allen was making arrangements for passage on the frigate “United States.” He met Mrs. Hull’s sister Elizabeth, one of the “Seven Lovely Hart Sisters” of Saybrook, and in two weeks they were married and en route to South America. Ann Hart Hull’s sister, Jeannette, sailed with the Hulls, and was said to have been proposed to by widower Simon Bolivar after his triumphal entry into Lima in Feb. 1824, and that she refused after learning of his fiery and possessive Ecuadorian mistress, Manuelita Saenz. Allen continued in Chile as minister until July 31, 1827. 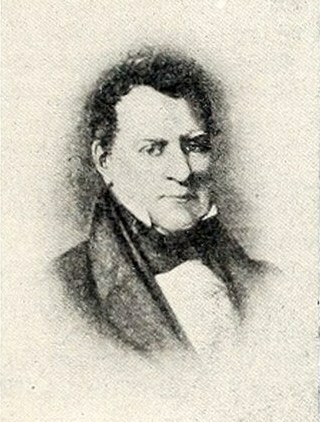 Allen was the Whig Party candidate for Governor of Vermont in 1830. He served as president of the Burlington branch of the United States Bank from 1830 until the expiration of its charter in 1836. Following the expiration of the bank’s charter, he resumed the practice of law in Highgate. Heman Allen died on April 7, 1852 in Highgate. He in interred at Greenmount Cemetery in Burlington.